WASHINGTON — A vehicle-miles-traveled tax would present a good long-term solution for funding the nation’s infrastructure, while higher fuel taxes could address more near-term needs, representatives from the Association of American Railroads said. Officials from AAR made the comments during a Feb. 8 news conference held to update the public on implementation of Positive Train Control as well as railroads’ safety and business performance. To address immediate infrastructure needs, lawmakers could implement an increase in the federal gas tax that would fully cover the current shortfall in the Highway Trust Fund, AAR officials said on the call, noting that American Trucking Associations is among the groups that back an increase in fuel taxes. ATA supports a 20-cent-per-gallon built-in fee on transportation fuels that would be collected at the terminal rack, as part of the group’s Build America Fund proposal. Longer term, however, AAR supports a user-based system that accounts for all highway users’ impacts on infrastructure, said AAR spokesperson Jessica Kahanek in an interview with Transport Topics. This could be achieved either through a vehicle-miles-traveled fee or a weight-distance fee, she said, referring to fees applied to vehicles at or above a specified weight. At least four states currently implement this type of funding mechanism, she said. While improving the nation’s infrastructure is an issue with bipartisan support, no timetable exists for when a bill will get passed. Implementation of Positive Train Control, however, is coming up; Congress in 2015 extended the adoption deadline to Dec. 31, 2020 due to the technological challenges, giving railroads less than two years to come into full compliance. PTC systems are designed to automatically stop or slow a train before accidents related to human error occur, according to AAR. As of Dec. 31, 100% of locomotives, wayside units and radio towers had installed PTC technology, and 100% of rail employees have been trained on its use, according to AAR. Among Class I railways, more than 83% of route miles are covered by PTC technology, with the rest expected to be ready by the deadline. AAR said its member rail companies will be ready by the deadline. Meanwhile, safety is improving. 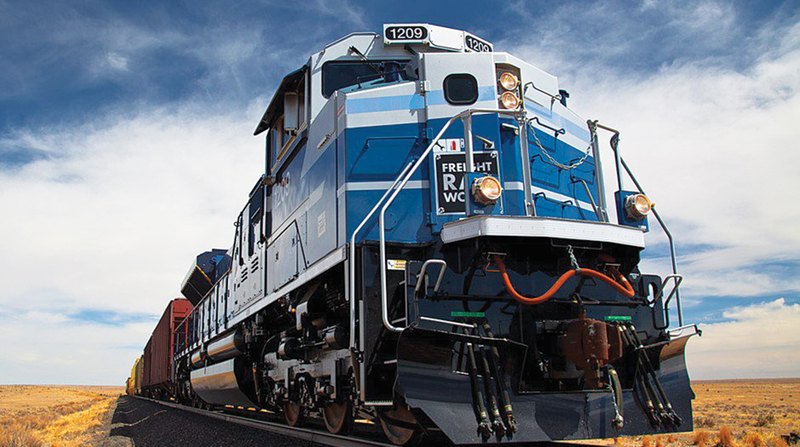 Train accidents were down 23% in 2017, according to Michael Rush, AAR’s vice president of safety and operations. That year, 95% of rail fatalities were trespassers or persons crossing railways, he said, with AAR reporting 270 grade-crossing fatalities and 513 trespass-related fatalities. Eleven rail employees, or 1.3% of all fatalities, were killed by accidents in 2017. Employee casualty rates are down 7% since 2008, to 1.95 deaths per million miles, Rush told reporters. In terms of business, the year got off to a good start for the rail sector. U.S. railroads moved 1.2 million carloads in January, up 1.7% or 21,054 carloads from the year-ago period, AAR said. U.S. railroads moved 1.3 million containers and trailers last month, up 0.5% or 6,008 units from January 2018. Combined U.S. carload and intermodal originations in January were 2.5 million, up 1.1% or 27,062 carloads and intermodal units from a year earlier, AAR reported. Driving rail freight’s numbers were petroleum and petroleum products, up 23.9%; chemicals, up 2.5%; and primary metal products, up 7.2%.